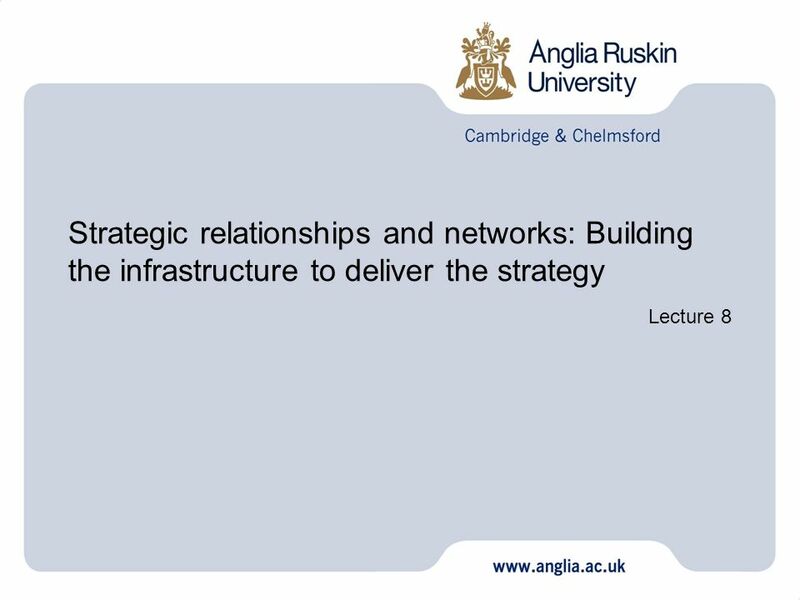 Strategic relationships and networks: Building the infrastructure to deliver the strategy Lecture 8. 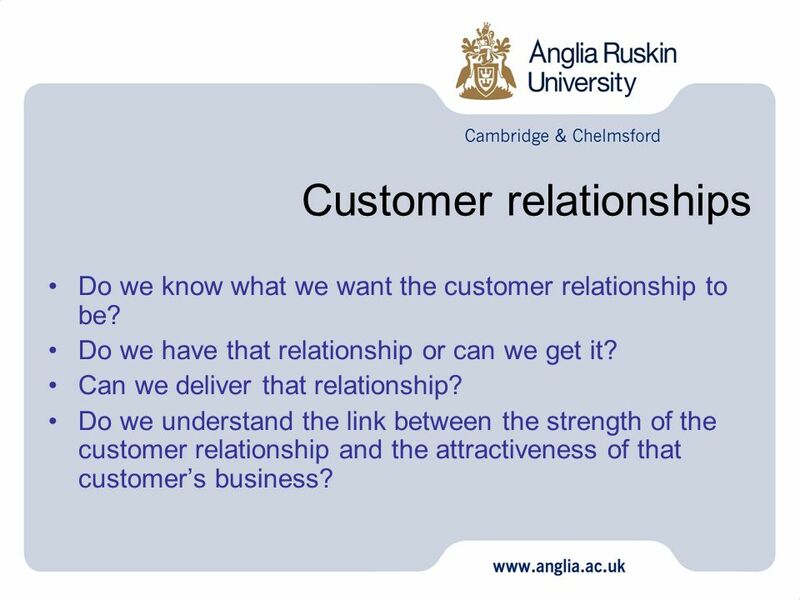 Do we know what we want the customer relationship to be? Do we have that relationship or can we get it? Can we deliver that relationship? 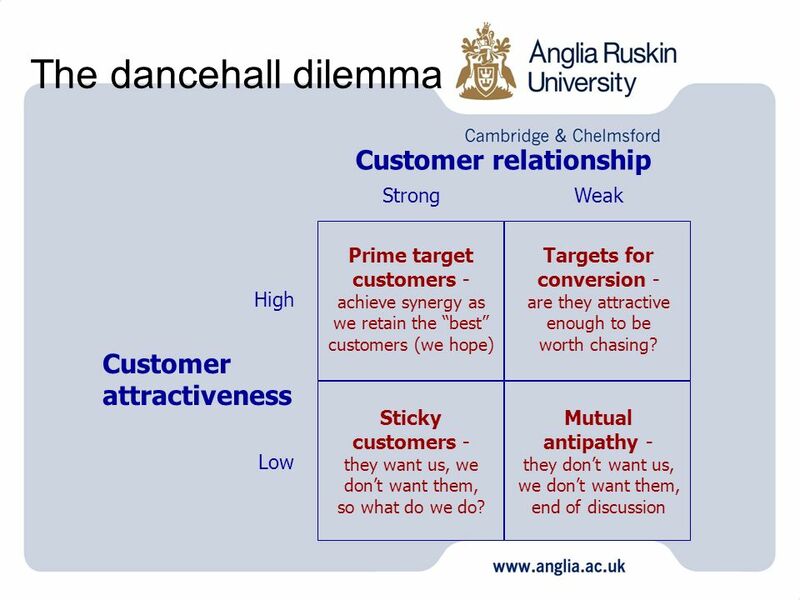 Do we understand the link between the strength of the customer relationship and the attractiveness of that customer’s business? 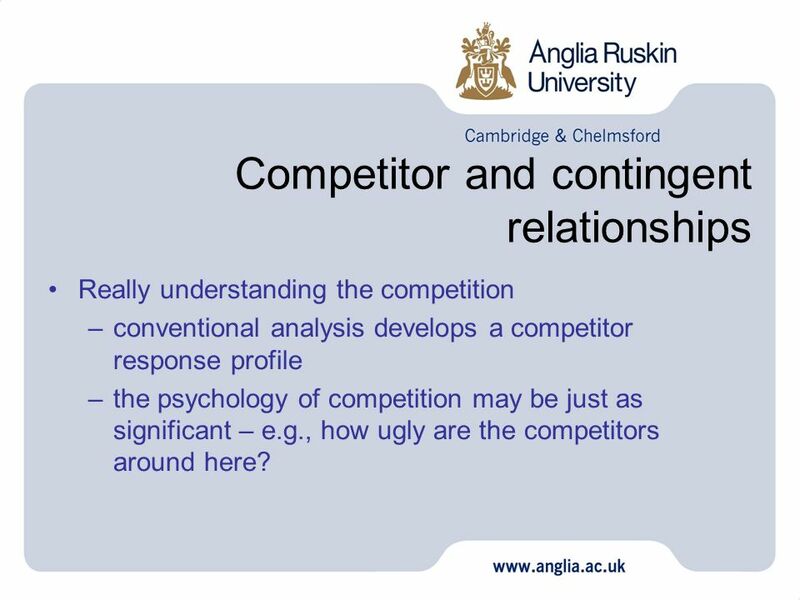 Really understanding the competition conventional analysis develops a competitor response profile the psychology of competition may be just as significant – e.g., how ugly are the competitors around here? to achieve in this market? 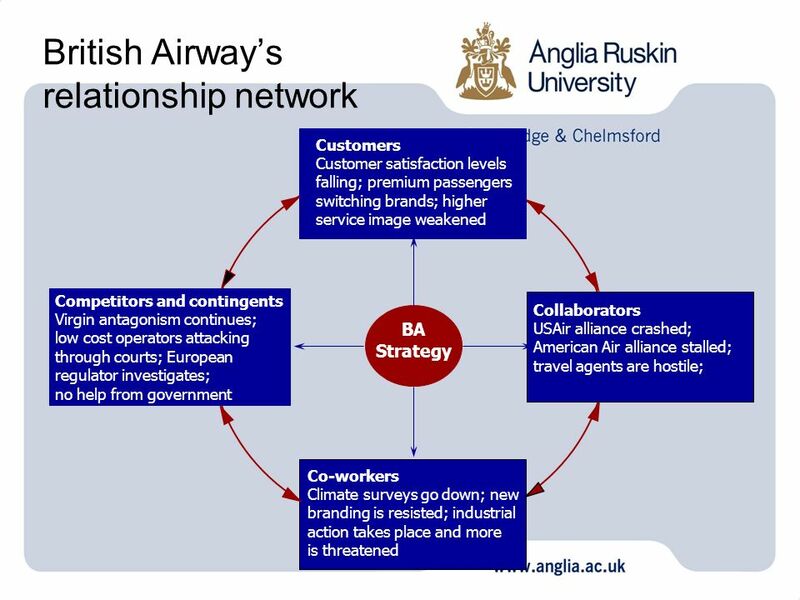 Competitor’s strategy What is this company’s current strategic position? 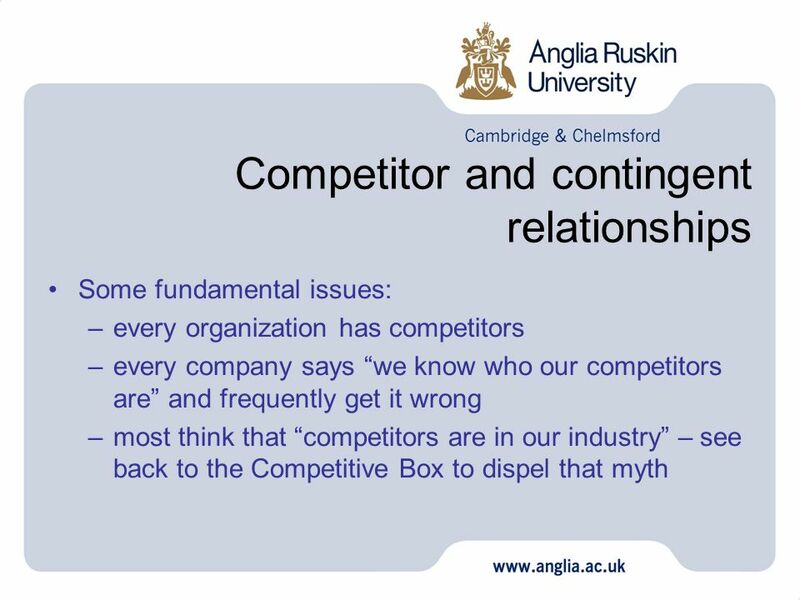 Competitor’s response profile Is this competitor satisfied with its current position? What are the likely moves they may make? Where is this competitor most vulnerable? 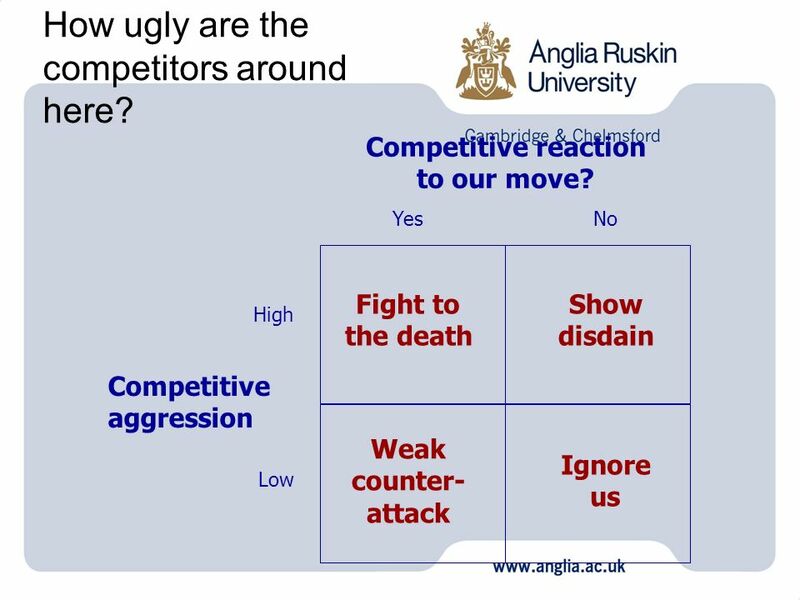 What is this competitor sensitive about, what is most likely to provoke a competitive reaction? 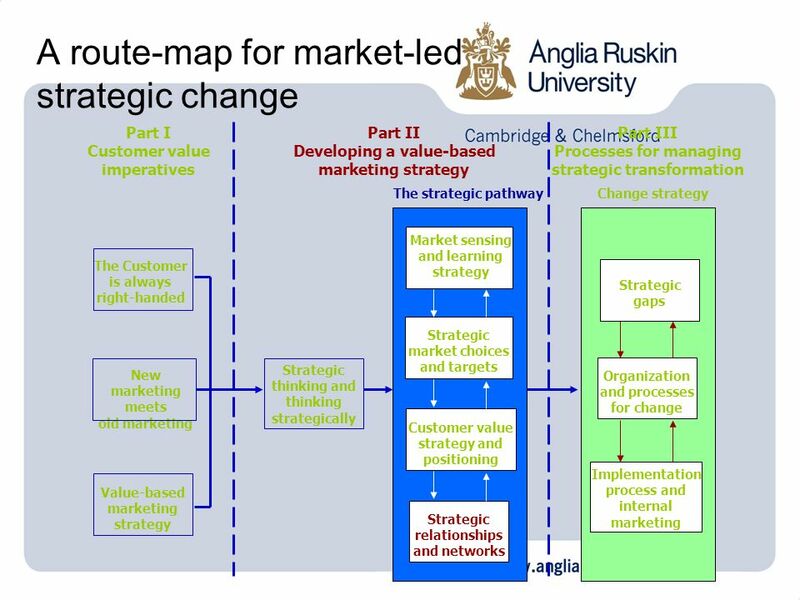 Competitor’s strategic assumptions - How does management look at the market? 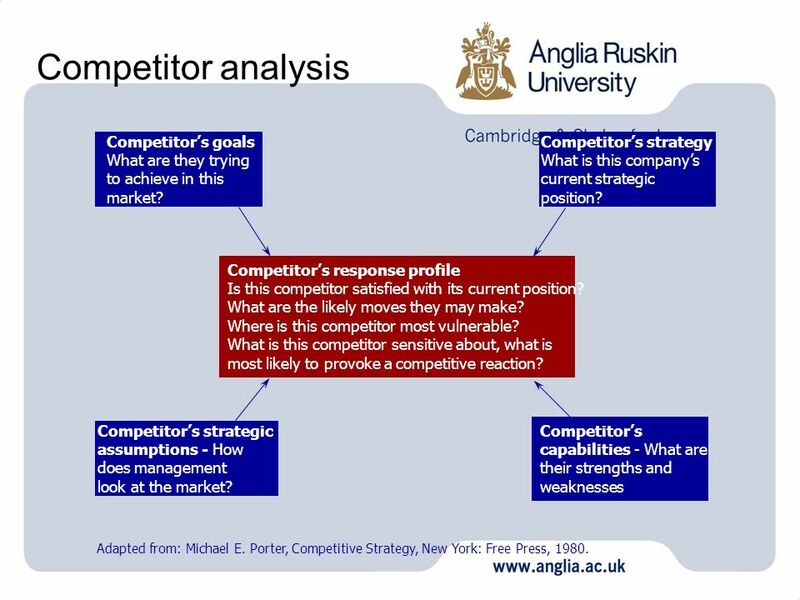 Competitor’s capabilities - What are their strengths and weaknesses Adapted from: Michael E. Porter, Competitive Strategy, New York: Free Press, 1980. 11 How ugly are the competitors around here? Where is the competition coming from in this market? 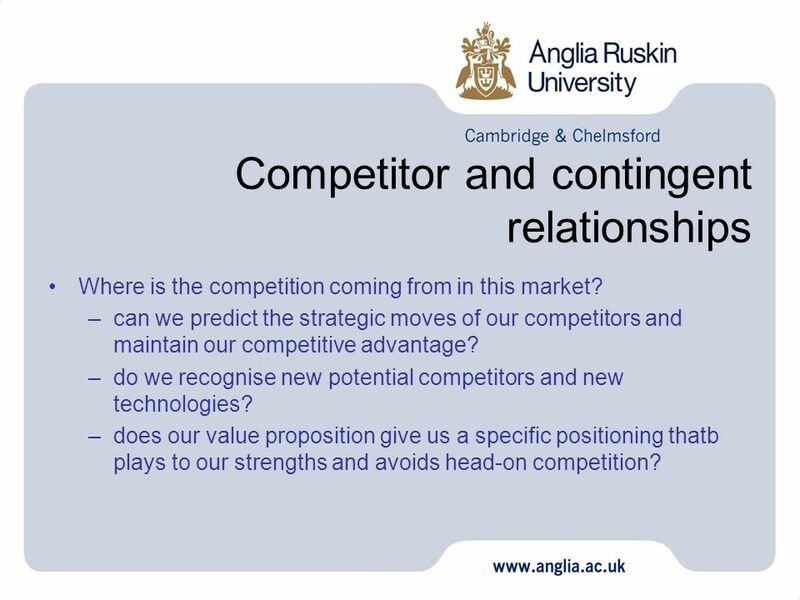 can we predict the strategic moves of our competitors and maintain our competitive advantage? 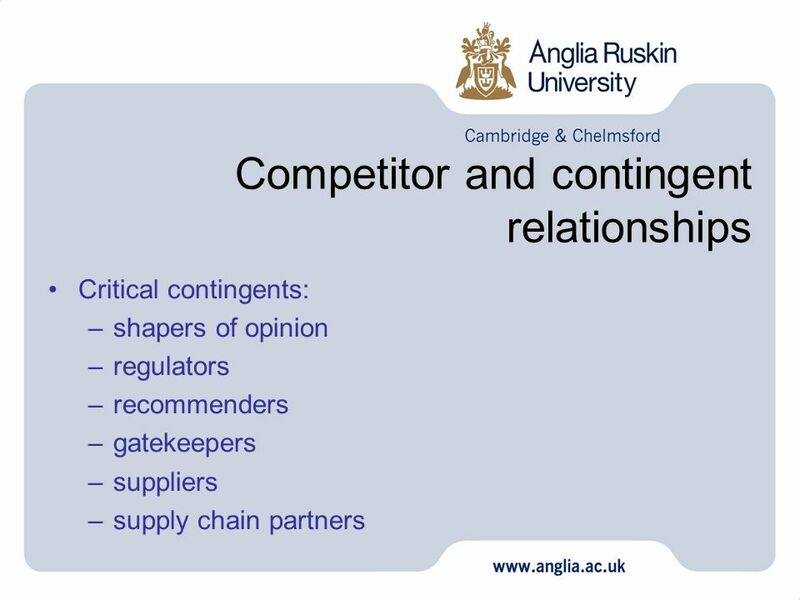 do we recognise new potential competitors and new technologies? 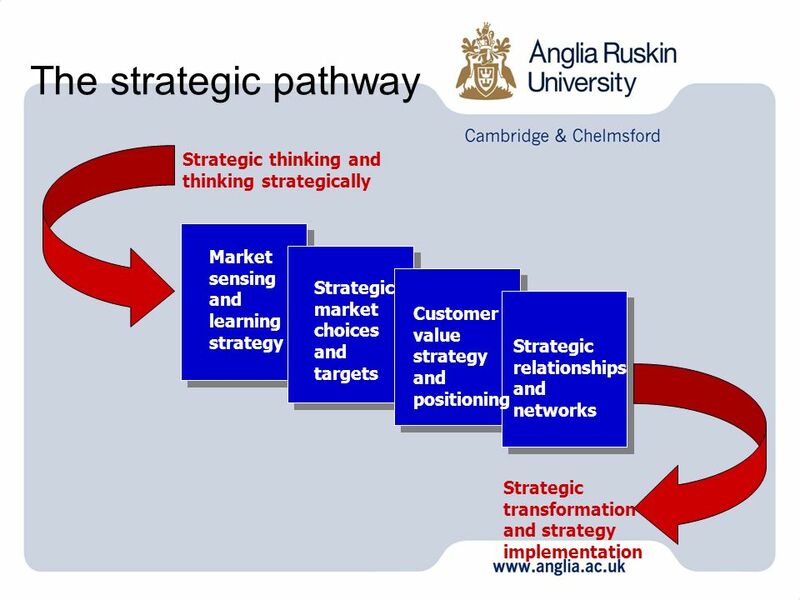 does our value proposition give us a specific positioning thatb plays to our strengths and avoids head-on competition? 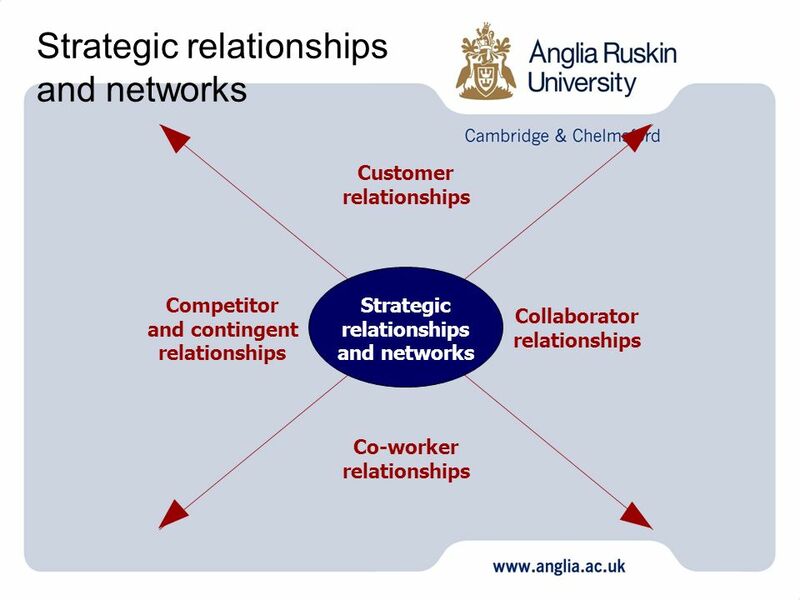 Download ppt "Strategic relationships and networks: Building the infrastructure to deliver the strategy Lecture 8." Market sensing and learning strategy: Competitive strength through knowing more Lecture 5 1. 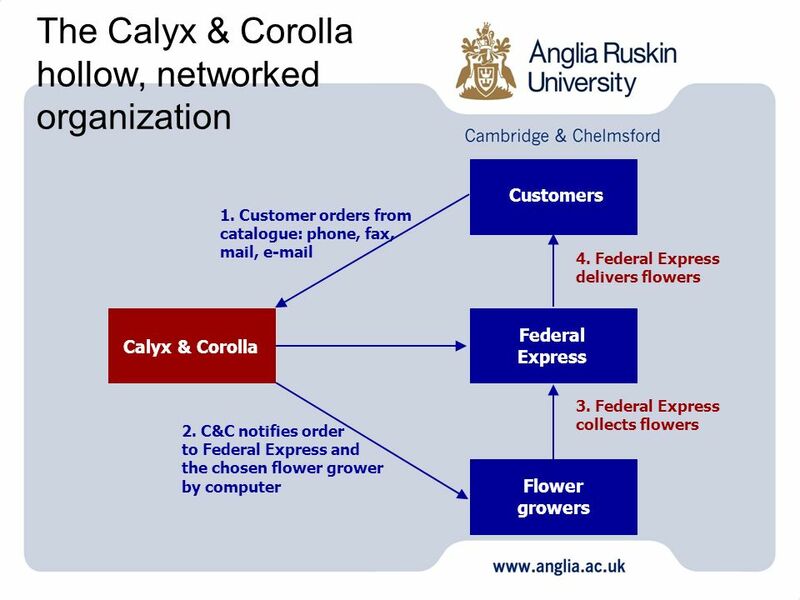 The customer is always right-handed: Customer satisfaction, customer sophistication and market granularity Lecture 2. Copyright 2004 © Pearson Education Canada Inc. 3-1 Chapter 3 Building Customer Satisfaction, Value, and Retention. CHAPTER 10 BUILDING AN ORGANIZATION CAPABLE OF GOOD STRATEGY EXECUTION: PEOPLE, CAPABILITIES, AND STRUCTURE. PowerPoint Presentation by Charlie Cook Gordon Walker McGraw-Hill/Irwin Copyright © 2004 McGraw Hill Companies, Inc. All rights reserved. Chapter 6 Vertical. 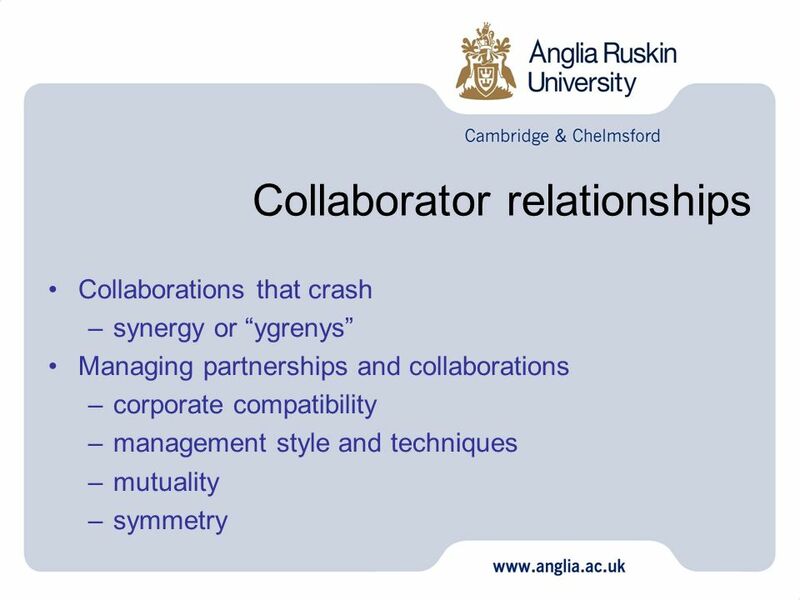 TRANSFORMING CAPABILITY SUPPORT MATERIALS COLLABORATION IN TECHNOLOGY-BASED NETWORKS Strategic Questionnaire 1Company name 2Address 3Contact 4Position. Chapter 18 Competitive Strategies: Attracting, Retaining, and Growing Customers. 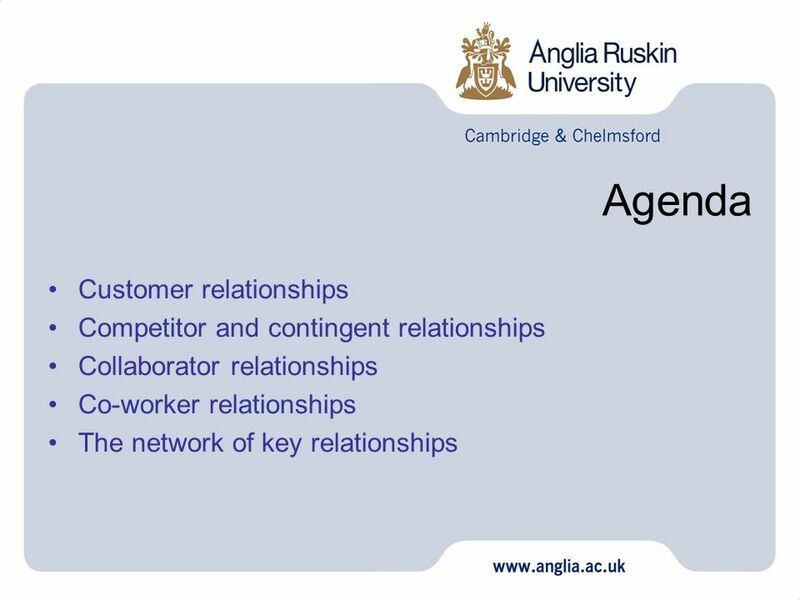 Marketing: Managing Profitable Customer Relationships 1. MANAGING PRODUCTS TOOLS FOR DECISION MAKING. BUSINESS STRATEGY MATRIX VERTICAL AXIS: TODAY’S BUSINESS STRENGTHS WITH CUSTOMERS: - SHARE OF BUSINESS -SHARE.